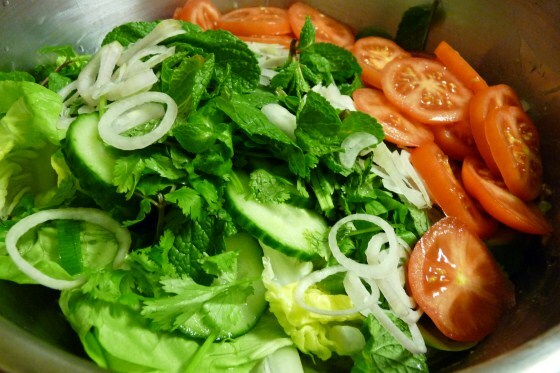 Dinner on Friday night with Lao Salad or Yum Salad using chicken and egg dressing. I didn’t want to crush the roasted peanuts because it’s more crunchy this way. 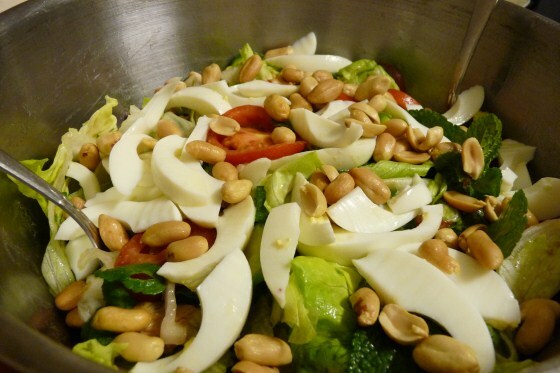 Really love this salad and I try to make the dressing but its never right. 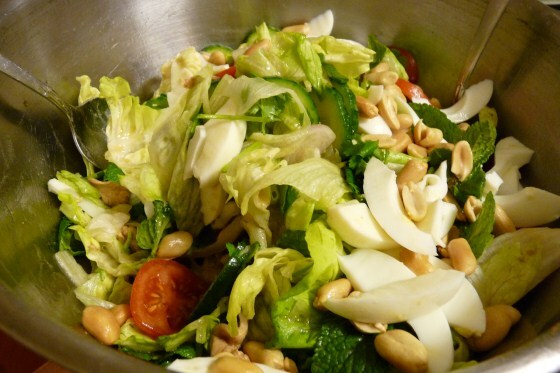 how do you make the dressing for this Salad? Thanks! 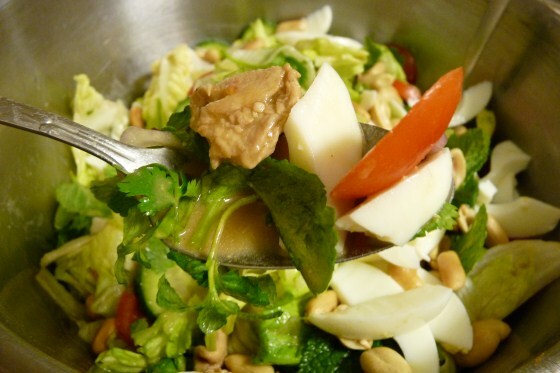 Please see Yum Salad post and Lao Salad Dressing for instructions.